CLEVELAND, Ohio — The Foundry is kicking off the 2019 high school sailing season with a clinic Saturday and a regatta Sunday at the old Coast Guard Station on Whiskey Island. The sailing clinic at the community sailing center expects nearly 80 athletes — from Michigan, Sandusky, Toledo and Columbus, as well as all the Foundry high school sailing teams of St. Ignatius, St. Edward, Rocky River, Lakewood, Bay Village, St. Joseph Academy and Campus International School. 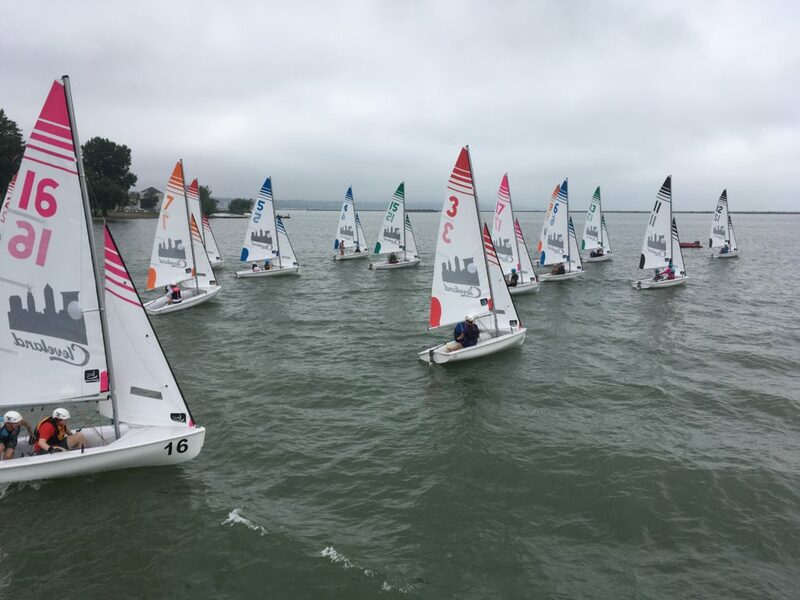 About 75 athletes from the Midwest Interscholastic Sailing Association East are registered for Sunday’s regatta, which runs 9 a.m. to 5 p.m.
Last year, the Foundry hosted the George R. Hinman Trophy regatta, with 12 top teams are duking it out for a chance to enter the 2019 World Sailing Team Racing Championship. Want to get in on the action? The Foundry is starting its spring frostbiting sailing session this month. Stay tuned for more info!